Mary Zhaime was one of the 25 young girls that attended our 1st training session in December 2013. In February 2014, Mary joined us for the Inauguration of the Cosmogolem and she told her story. Her sister had passed away and she was left to take care of a young girl orphan aged only 3 years. As if that was enough of a burden, the place where Mary lived was subdivided and sold and she had to move to a new piece of land that was allocated to her. With no job, no other source of income or support from other family members, Mary didn’t know what to do. 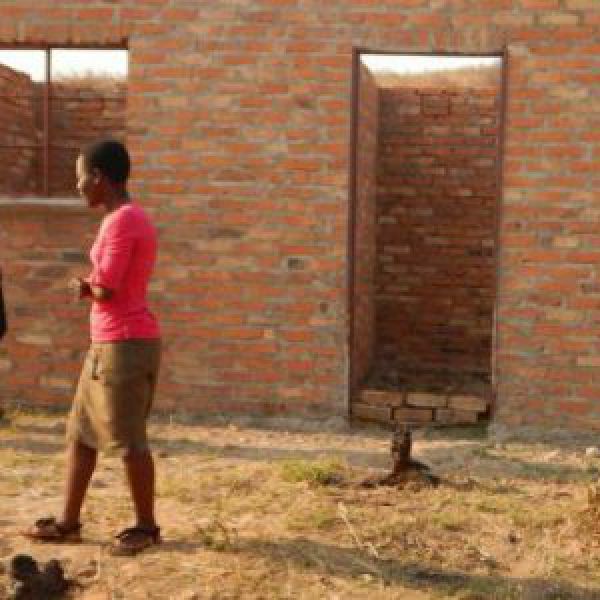 When she shared her story in February we set out to see to it that we can secure a small house for her and her deceased sister’s little girl even though building houses is not our primal object. For a total budget of $750 we have started constructing a house for Mary. The Headmaster of Odzi high school and the local councilor have been helpful to secure that Mary gets the best support during construction and we hope that by Christmas, Mary will have a shelter.